When I worked around lawyers in some of my past business lives, there would always be days when they were totally unavailable. The reason was something called “CLE”. 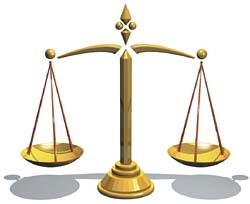 As I came to found out, the full term is MCLE – Minimum Continuing Legal Education and while the requirements vary by state bar association, in general lawyers need to take courses in everything from ethics (ahem) to professional responsiblity to changes in law in areas of specialty. I hope you all enjoyed your Thanksgiving feasts. apparently, a lot of folks ate and ran for their cars – not to get home before Aunt Sally passed out but to the stores to get a head start on their shopping for the next holidays. I was really surprised about how the Thanksgiving Day newspaper had several pounds worth of ads, in many cases for sales that would be over before many of us were getting out of bed on Friday. A little research to start the week. A new study came out from Burst Media last week. It was about how people view and interact with online video. Not very much surprising in it – 71.6% of web users overall watch online content in a typical week—and 39.0% of all viewers spend between one and five hours per week with online video. Men aged 18-34 are the heaviest consumers of online video content, with 19.7% saying they consume 10 or more hours of video on the web per week. Not much of a shock – almost every content company with which I work has a focus on video and I suppose it’s sort of chicken and egg – there’s more content offered in the form of video so the usages rises and because the demand goes up, content providers produce more. 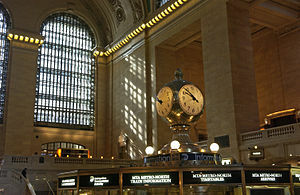 I was meeting someone at Grand Central Terminal last week (and for you non-NY‘ers, Grand Central Station is a subway stop; GCT is the commuter train station). We agreed to meet “at the clock” which everyone knows is the clock atop the information booth in the middle of the building. I was a few minutes early and as I was waiting, I overheard the person in the information booth as she dealt with the line of folks needing help. What struck me wasn’t the speed with which she answered the questions (how the heck do you keep track of all those bus routes in your head?). Instead, I was impressed with something else, something that is the yet as unfound grail in digital, but one which Siri and other voice interfaces may be on the way to finding.